There really is no end to the hypocrisy of the left. They preach tolerance while trampling the rights of anyone who doesn’t agree with them – and this includes leaders who are supposed to represent all people. But you won’t believe just how deeply-rooted the hypocrisy has become for one legislator. Virginia Governor Ralph Northam has been embroiled in scandal for months now, yet refuses to acknowledge his lack of judgment or alliance with progressives who keep him in office. 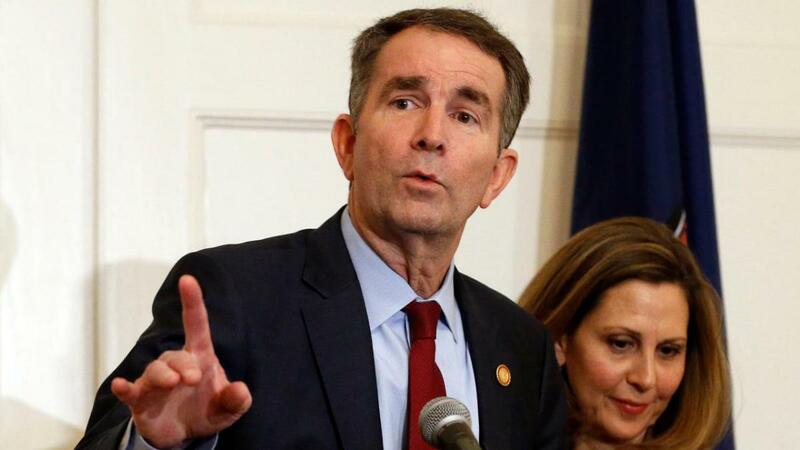 In January of this year, Northam readily followed New York Governor Andrew Cuomo’s lead when he signed into law a bill allowing for abortion at any stage of pregnancy. And what about a failed abortion or a child born moments before birth after the mother already decided on a last-minute abortion? And this comes from a former pediatrician. Mommy Underground brought you the story that sent shockwaves through the pro-life community. And his words are still as shocking now as they ever were. Northam insisted he does not advocate for infanticide, but how else are those words to be interpreted? But here’s the kicker – Northam is now being praised for signing a law that provides for more protection, and harsh punishments, for animals who are harmed. Absolutely, animals should be protected. No living creature deserves to be tortured or abused. But how is it possible that the rights of animals far exceed those of a full-term baby? The law, SB 1604, was nicknamed “Tommie’s Law,” named after a pit bull that died after he was set on fire. This is horrific to even think of, and the new law provides for felony charges to be filed against anyone who tortures an animal. The previous law only required felony charges if an animal died from injuries received from abuse. But read Northam’s words: The full extent of the law will be brought to bear on anyone who “tortures, willfully inflicts inhumane injury or pain,” or “cruelly and unnecessarily beats, maims or mutilates” an animal. What about the torture, inhumane pain, and unnecessary cruelty that a full-term baby is subjected to when they are killed and dismembered in the womb in the name of convenience? The animal cruelty crime carries a term of up to five years in prison and a fine of up to $2,500. Yes, that’s entirely appropriate for a heinous act of animal torture. But what of human life? There are now no criminal repercussions in the state of Virginia for killing a full-term baby. When Delegate Kathy Tran, a Democrat in the General Assembly, introduced a bill with no restrictions on late-term abortions, it was heavily debated and tabled. But Northam defended the bill, and said he had “no regrets” about his comments on allowing some babies to die after birth. The bipartisan animal cruelty bill was passed unanimously, and animal rights groups celebrated. It is hard to believe that in a developed society – any society, for that matter – that innocent children with their whole lives ahead of them are carelessly discarded while legislators pat themselves on the back for protecting animals. We’re by no means saying that animals shouldn’t be protected, but let’s be realistic – human beings were created by God to carry on life on our planet. Intelligent beings capable of incredible talents and skills. And yet to Ralph Northam and the left, the most innocent human beings are expendable – even disposable – while house pets are saved at all costs. What do you think of Northam’s law giving more rights to animals than to full-term babies? Leave us your comments.